​Sappi Limited, the global pulp and paper group, today announced that Mark Thompson, the current Chief Financial Officer, will retire from Sappi in August 2012 having reached the mandatory retirement age of 60. In order to ensure a smooth transition in this important role, Sappi is pleased to announce that Steve Binnie, currently the Chief Financial Officer of Edcon (Pty) Ltd, will join Sappi as CFO-designate on 09 July 2012. He will become CFO and join the Sappi Limited Board as an Executive Director on 01 September 2012. 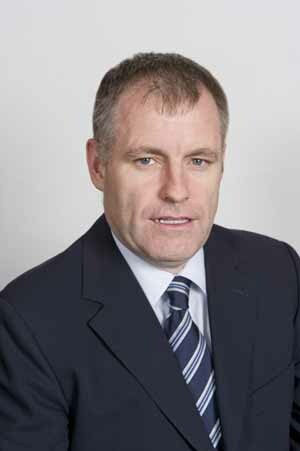 Steve Binnie (44) has been CFO of Edcon since 2002. Prior to joining Edcon he was Group Financial Manager at Investec Bank Limited and held senior management positions at Transunion ITC and New Zealand Milk Products (SA). He is a Chartered Accountant and holds an MBA from Heriot-Watt University, Edinburgh, Scotland. joined Edcon (Pty) Ltd in 2002 as CFO.